A set of animals flashcards. 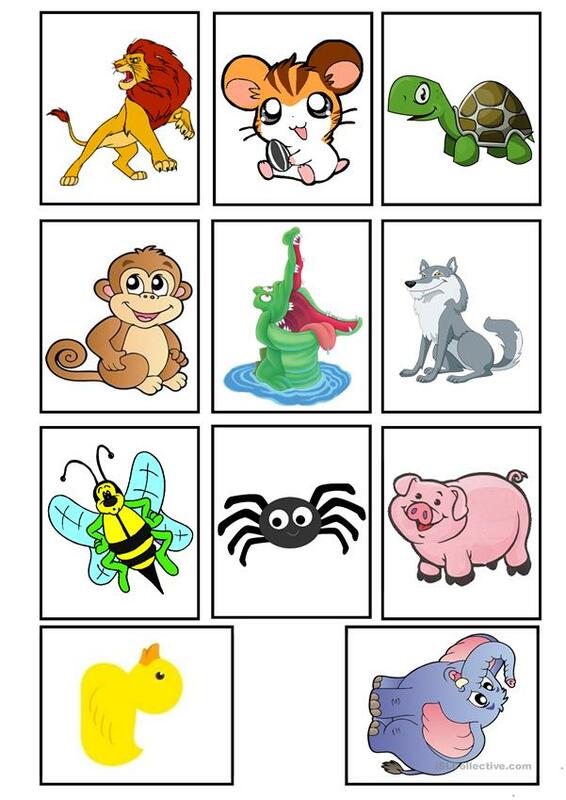 It includes: lion, hamster, turtle, monkey, crocodile, wolf, bee, spider, pig, duck, and elephant. The present printable, downloadable handout is best suited for high school students, elementary school students and kindergartners and nursery school students at Beginner (pre-A1), Elementary (A1) and Pre-intermediate (A2) level. It can be used for enhancing your students' Speaking skills. It focuses on the theme of Animals.